1. Slice the onion into rings, season with salt and a touch of lemon juice. 2. Combine the sea campion with the picked down speedwell and the other green leaves. 3. 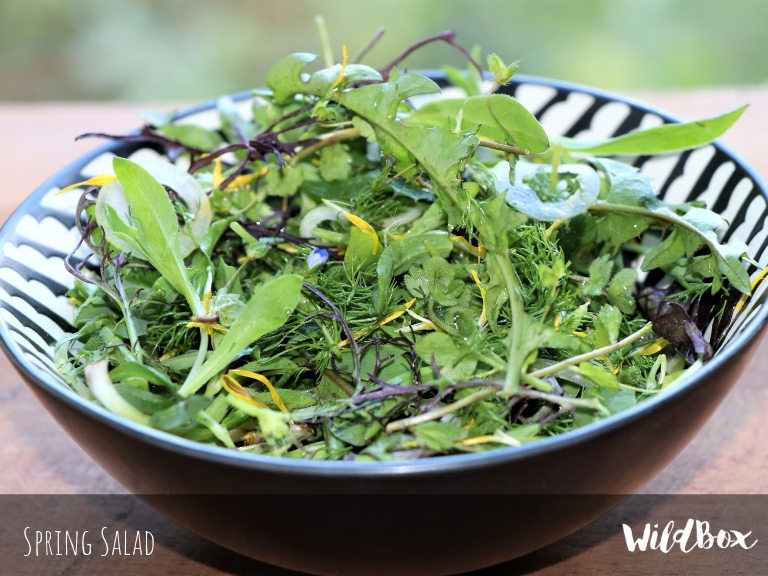 Finely chop up the fennel and pick out the yellow petals from the head of the dandelion flower to sprinkle over the top of the salad. 4. Combine the oil, mustard, vinegar and seasoning into a clean jar and give it a good shake to make the dressing. 5. Dress the salad using some of the vinaigrette and place some of the onion rings over the top.